We decided to add a few nice touches to our Thanksgiving preparation. 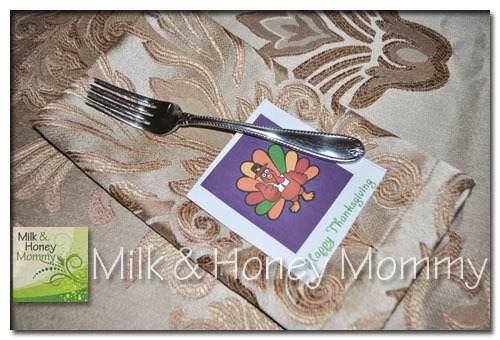 Lily cut out these turkey place tags and put one at every plate. What special decorative touches are you adding to your holiday table?